Shelf seas are regions that lie between the deep ocean and land masses. They represent around 9% of the area covered by the global ocean but are disproportionately important to all life on Earth. Around 25% of global primary productivity (i.e. phytoplankton production) and close to 30% of the net annual Carbon export occurs here, along with some 90% of the activity generated by the fisheries industry. They are also the regions where the majority of tidal energy is dissipated, resulting in a dynamic environment. The shelf edge represents an important component of shelf sea dynamics. At this interface between the shallower waters of the shelf and the deep ocean, many critical processes are known to occur that are responsible for the movement and transfer of water masses. 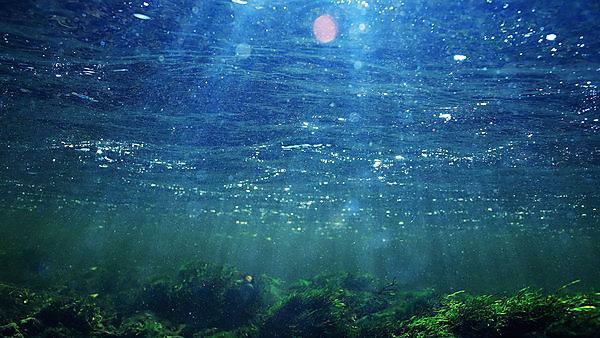 Within this water exists key properties such as heat, salt, nutrients (e.g. Nitrate and Phosphate) and Carbon. We need to better understand the rate at which these properties are transferred from the shelf to the deep ocean, and it is this gap in our knowledge that this research group is actively attempting to address. A suite of instruments were deployed during the cruise aboard the RV James Cook to the Malin Shelf region enabling the research team to identify the mechanisms at work in transferring water and other properties from shallow to deep water. One such process, Ekman drainage, is is thought to be responsible for a large, but as yet unquantified, level of exchange of water between the deep ocean and shelf. Ahead of the summer cruise, historical data from a site in the Faeroe-Shetland channel (FSC) made available to the project was used to provide an estimate of Ekman drainage. The FSC, like the areas of interest to FASTNEt is subjected to a persistent, poleward-flowing current that dominates the dynamics of the region. Using established techniques to remove the current signal associated with tidal activity, a mean value for Ekman drainage at this time is found to be 0.18 m2/s. Recently, a study by Holt et al. (2009) estimated the value for Ekman drainage in this region to be of the order of 0.4-0.5 m2/s. This modelled value is derived from a 45-year dataset, thus taking into account periods during the winter months when transport is thought to be much greater. The observed estimate from the ADCP was from Spring 1999. That the two values are in reasonable agreement is an encouraging result, and one that will be further examined during the post-cruise data analysis.